The Ramelli Group provides grounds maintenance and landscaping services to commercial and municipal sites. We provide supervision, personnel, supplies and equipment necessary to perform landscaping services on the required scale. 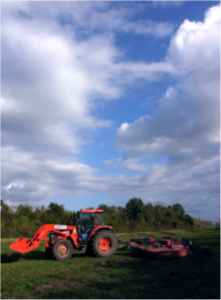 Our services include mowing, large tractor mowing, fertilizing, blowing, edging, trimming, raking, cultivation, pruning, aeration, leaf removal, irrigation/ minor sprinkler repair and manual watering. We currently provide grass cutting and lawn maintenance for Jefferson and Orleans Parishes where we cut over 40,000 acres annually. Our Grounds Team has received multiple national awards for providing excellence in turf management from Jefferson Parish. We are committed to providing the same caliber of service to all of our customers.